A Tahoe hike: Pure Bliss. Our daughter Mimi visited us last weekend at the Tahoe summer cabin. After two solid weeks of damp, cool May Sierra weather prior to her arrival…I was itching to get outside …enjoy some sun and to wander through the forest. Mimi got online and researched several potential short journeys through nearby woods for the two of us. Understand right off the bat that Mimi is a seasoned outdoors person. Examples? To my extreme parental displeasure, she and her husband Brandon have hiked to the very top of Yosemite’s legendary, frightening Half Dome…and have precariously stood on the rocky summit of Arizona’s Four Peaks. Appreciating my tenderfoot abilities and being the loving, considerate daughter as always…Mimi chose an “easy” trail on Tahoe’s west shore beginning at D.L. Bliss State Park. 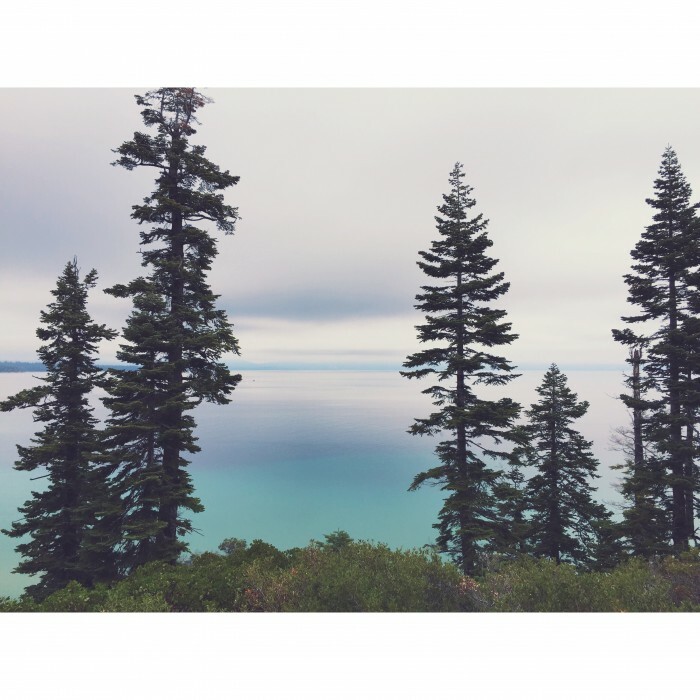 It is a 4.5 mile hike to Emerald Bay. Doing the math, that would be nine miles round trip. We pulled into the park check-in point to pay our day pass fee and were greeted by the camp host… a loquacious sixty something woman who must have felt some sympathy for me as she learned what we had planned for the morning. “OK! Have fun! And stop by on your way out for a kiss!” I actually didn’t hear her say that. Mimi did. And she never lies. So it must be true. And I hadn’t even shaved. I found a really nice hiking stick and off we ventured onto the as required, “non-asphalt” trail. Gorgeous views of a stunning, very calm early morning Tahoe were off to our left. The well traveled path is about 200 feet above lake level and the views in all directions were incredible, even on this low overcast morning. We enjoyed the large stands of cedar and pine… and were amazed that so many fallen trees along the way have been left to rot…a natural way for the forest to self manage. Every so often we’d speak loudly or Mimi would whistle or hum some unrecognizable new music hit to let the Tahoe black bears know we were in their neighborhood. Fortunately the only two legged outdoorsy creature we saw along the way was a skinny wild turkey…which fearlessly approached us, likely hoping we had some spare trail mix or an Oreo or two to share. After almost three miles and an hour and a half or so at 6,000 feet above sea level, this urban hiker had met his match. Seeing my tongue hanging out, Mimi agreed it was probably time to turn around and head back to the trailhead. Of course along the return, she had to climb some craggy, off-trail rocks and dangle from their edges to satisfy her true outdoorsy-ness…as well as wreck havoc with the ticker of her old man. We had a great time that morning. 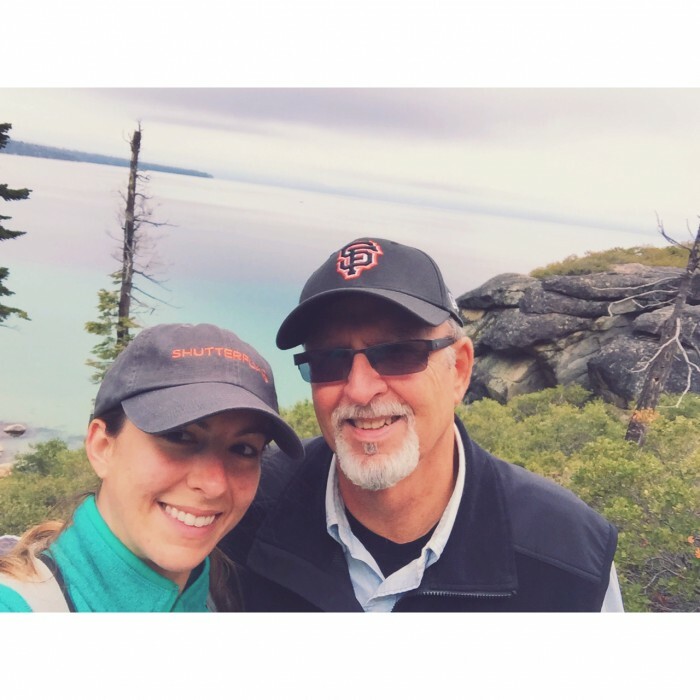 We got to have some wonderful “daddy-daughter” moments to share…as well as being able to appreciate for the millionth time or so, the incredible beauty of Lake Tahoe and it’s bountiful glory. I looked for the friendly camp host as we left, wondering if she really wanted to plant on me that promised kiss… (Mimi would have to look away) but alas she was nowhere in sight…probably peeking out her trailer window and laughing at the sight of a “mature” urban hiker unable to make it to Emerald Bay and back. Tahoe from the D.L. Bliss trail. < Previous Pasta. Pizza. Peace.